We had a commenter paste some text from an anti-Obama web site the other day. Generally I don’t appreciate folks doing that. I want to foster discussion and debate here, not republication of content from other sites. Generally when I comment on other sites, I write the text to fit the context, the article I’m reading and the other comments. It’s time consuming to custom-write comments, and I have been at least toying with the idea of making a library of material I can copy and paste in certain situations. One of the things that annoys me a good deal, and that I’m often tempted to comment on, is statements to the effect that the Constitution obviously and trivially requires two citizen parents. So I have created the following text to paste as needed. The following judges have heard cases challenging the presidential eligibility of Barack Obama on the basis of his father’s citizenship. They have said in their decisions that the parents’ citizenship is not a requirement or affirmed a lower court decision to that effect. No judge has said otherwise. Here is a list of citations from the eligibility cases. For a complete list of birther lawsuits and election challenges, see the Birther Scorecard and the Birther string cite. Pfft. Judges! What do they know about the law? I have Youtube videos and web sites. It would have been nice to include the case names, dates, and citations. Fully cited, the debunker’s guide could serve the same purpose. This meme element gets this response, that meme elements gets that response. Once a response is refined, and cited, it may as well be copied and reused; what more is there to add, particularly when responding to mindless repetition? A debunker’s wiki could crowdsource the development. Many great resources out there, here and at Fogbow, but nothing quite along these lines…and existing attempts appear to be abortive. The President is worth the effort, but I guess the birthers themselves are not. I know I have better things to do! I’ve thought about such an approach, too. I’d like to refine to the point that all one has to do is give a code. 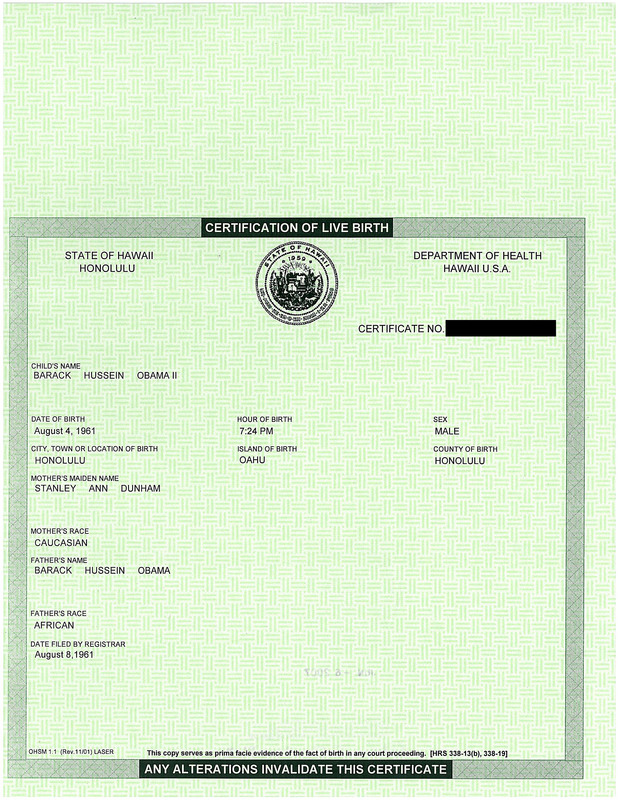 Birther: Obama wasn’t born to two citizen partents, he’s not a natural-born citizen. Reponse: B-17. JPotter: Fully cited, the debunker’s guide could serve the same purpose. This meme element gets this response, that meme elements gets that response. Birther: Obama wasn’t born to two citizen partents, he’s not a natural-born citizen.Reponse: B-17. Could keep it going until a webcrawling bot is able to auto-respond to birther drivel, wherever it may be found. But unleashing bots isn’t nice, and it would probably harass persons commenting on birthers as well as birthers themselves. Hey, I know, a play on translation utilities …. paste in the ramble on one side, submit, and the appropriate canned response is returned. Sort like a Google.Refudiate, to borrow a Palinism. Just think of all the time it would save. Oh, and pair it with a spellchecker. Can’t expect a computer to read what people barely can. I was trying to keep it simple for my target audience. Bernard: It would have been nice to include the case names, dates, and citations. I tried the wiki first, and the crowd didn’t want to source it. The Birther debunker wiki, now under management, grew out of my original, and while it’s gone further, still seems to run out of steam. Individual efforts that have some staying power include the citations, and score card and the Birther Calendar (linked here under the Docket menu) and the Jack Ryan document collection. JPotter: Many great resources out there, here and at Fogbow, but nothing quite along these lines…and existing attempts appear to be abortive. I take this as a sign that said birther has finally reached a state of total, irrevocable denial, and now sees Skrulls everywhere. A little They Live! action. Dr. Conspiracy: I tried the wiki first, and the crowd didn’t want to source it. Yeah, it takes passion. In such a lopsided affair, it’s too easy for the favored side to be complacent. We don’t have to do anything to win. The birthers are far more motivated. A shame, as all the material is out there, just needs aggregating. Even more wasteful, we’re all aggregating little pieces of it, everyday, over and over. Such redundant effort! I hear you! For my own part, I consolidated my own work into the Debunker’s Guide, which I just updated to point to this article. 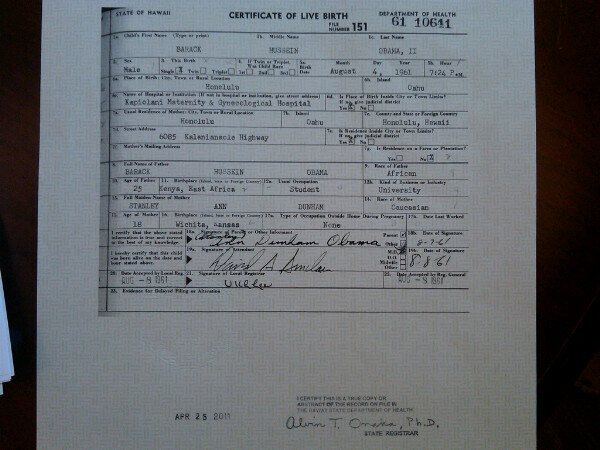 I also updated this article to point to the longer lists in the Birth Scorecard and the Birther string cites. Part of the motivation problem is the lack of feedback. The Debunker’s Guide is used, but I rarely know it. 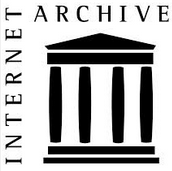 One of the reasons I keep up the site is because on occasion I do get feedback from an author or a journalist or an attorney who says the site is a valuable place to “deep dive” (one said) the topic and know what to look for in primary sources. JPotter: Even more wasteful, we’re all aggregating little pieces of it, everyday, over and over. Such redundant effort! “Yes,” said the new man. We just need to come up with a ‘taxonomy’, set up a template, and start populating it. Excellent parallel; creationists and birthers are kissing cousins and equally infected by brain disorders brought on by inbreeding. Pfft.Judges!What do they know about the law?I have Youtube videos and web sites. What does Pfft mean? Thank you. Also, I see bttt on the web . What does that mean?? Pfft is a dismissive sound, indicating the writer/speaker is looking down at the person the sound is directed at. jayHG: What does Pfft mean? Thank you. Ok, thanks. Bttt is weird…but/but to the top of what?!? No need to respond actually…I was just wondering. Corsi has new information that will blow the lid off the eligibility issue. He will release this bombshell soon, so to prepare for the frog marching, I am offering a special on frogs for the marching. For a limited time I am offering genuine green frogs for $1.00 each or 2 for $3.00. Don’t be left out get them now. To order go to birferstanfrogs.com. To get the 2 for $3.00 offer, enter the discount code “ORLY”. Agreed Doc. It’s funny seeing that on birther sites all of the time, like ORYR, just miles of spam BS copied from stellar institutions of truth like InfoWars and worse. Those posts are the personification of tl;dr. I would predict $9.95, but since this is The BIG One, price goes up a bit. Proimity to the election will be driving those winger fears, too; the marks over at WND will be desperate for some reassurance. desperate people cough up the cash. Birfer hot air being released. Argument halted. But the cycle goes on – the same birfer will re-cycle that hot air a few months later, sometimes even on the same blog if he is not careful. Pfft is the sound of the birfer duck being debunked. The code on birferobidjanducks.com is “Lena”. We have such a silly-sounding word (apologies to the Greeks) for a linguistic concept re: sound. One great aspect of your list of parent-citizenship-requirement-dismissing judges viewed against the greater list of all the court-related Birther losses is the redundancy it clearly shows there is in the sane judicial rejection of the Bithers’ basic premises. The hope clung to by Birthers has always been imagining getting rid of Obama could be a trivial task – one step – a magic bullet. Sort of a legal, no-kill, assassination. Get one rogue Obama-hating judge to declare he was never eligible according to the Constitution, and you’re done – he’s gone. They’ve absorbed 130 or so courtroom setbacks under the continuing bravado of “we only need one to agree with us! But not really. We see now that even if they find a rogue judge, at the appeals level, and a the SCOTUS level, and even Congress during the electoral-college-results certifying moment of truth, there is no chance for them to prevail. The bright Birthers know this. It’s really all about racism and trying to politically wound the President for a percentage point in a tight election. They want to provoke mindless anti- Obama sentiment and automatic rejection of Obama at the polls on election day. This movement is and always was just another “swift vote” attack. Like Doc said, it’s a dismissive sound. Well, the spelling of a sound since there’s no audio here. How can I best describe it? It’s sort of like the sound of a fart, but without the sort of jagged burpish noise you sometimes get. It’s more of a hissing noise made with the mouth, only without the ‘s’ sound. Try clenching your lips together then sort of spitting out a burst of air. That’s about the best I can describe it. You can also think of it as the auditory equivalent of a sarcastic eye roll. Benji Franklin: We see now that even if they find a rogue judge, at the appeals level, and a the SCOTUS level, and even Congress during the electoral-college-results certifying moment of truth, there is no chance for them to prevail. No, you see, it was never about that. I think the number of birthers who actually believe that a legal proceeding would have Obama’s removal as its ultimate outcome is very small (the extremely deluded). And that’s what it’s always really been about (the mass of the birther movement just hates the guy, or his skin colour, or both). And why is the word “abbreviation” which means to shorten a word or phrase, so long? Dr. Conspiracy: Pfft is a dismissive sound, indicating the writer/speaker is looking down at the person the sound is directed at. Thrifty: And why is the word “abbreviation” which means to shorten a word or phrase, so long? What the “true believers” in the Birther Cult believe is nothing more than what the cynical propagandist manipulators controlling the movement want them to think. The Propagandists have always been about either the petty issues of wishing to affect political sway, or the ugly issues of pushing a much larger and broader xenophobic or fundamentalist agenda, or the extremely perverse goal of inciting a “lone wolf” to do their dirty work for them…. or some sick combination of all of the above. However, from just the political sway perspective, Birtherism has very little chance to accomplish its “swift boating” objectives at all. I seriously argue that the data shows that they’ve poisoned their own well with their outrageous buffoonery on this issue over these past few years and that they’ve only succeeded in limiting the susceptible portion of the populace to those who are pretty much already in their own crowd. Everyone else has been fairly well innoculated against this line of ludicrous slander in the process. I mean seriously, if one isn’t already suffering from ODS, there is nearly ZERO appeal of Birtherism to that person. And if they *DO* suffer from ODS, then they weren’t planning to vote for Obama anyways, regardless of Birtherism. So while I completely see why these propagandist fools will be working feverishly to further push this line of political smear as the election approaches, I see the end result of that being nothing but their own PUMA-level wasted effort and EPIC FAIL moment playing itself out. As Scientist so often correctly points out, the “unicorn in the room” is the mythical Obama supporting Birther…one who otherwise supports Obama…but has “reservations” *only* due to the Birther issues. Such a creature simply does not exist, as Birtherism has never been anything but a slanderous excuse to cover for the irrational ODS and slimy politicing of those who were already clear opponents and detractors of this particular President or his party to begin with. So, in a nutshell, ALL these fools can hope to succeed is spreading Birtherism within the crazy confines of their own existing voting base. In the end, who actually gets hurt by an increasing number of GOP voters believing crazy things….ONLY the GOP itself, I would argue. Benji Franklin: But not really. We see now that even if they find a rogue judge, at the appeals level, and a the SCOTUS level, and even Congress during the electoral-college-results certifying moment of truth, there is no chance for them to prevail. The Magic M: I think the number of birthers who actually believe that a legal proceeding would have Obama’s removal as its ultimate outcome is very small (the extremely deluded). Benji Franklin: It’s really all about racism and trying to politically wound the President for a percentage point in a tight election. Correct. And it doesn’t cost Mr. Moneybags a fortune to keep them going either. Its a very cheap mudslinging FUD campaign. Very cheap, and relatively low risk. Like eMail spam, they can put out millions of messages for virtually no cost, and if it turns 5 votes, that is 5 votes they wouldn’t have gotten otherwise. Why is the diminutive (short form) of ‘John’, ‘Jack’? Keith: Why is the diminutive (short form) of ‘John’, ‘Jack’? I’ve been wondering about that my whole life. G: As Scientist so often correctly points out, the “unicorn in the room” is the mythical Obama supporting Birther…one who otherwise supports Obama…but has “reservations” *only* due to the Birther issues. To be honest, I know a couple of people who could potentially qualify (if they lived in the US), including my girlfriend. She is intelligent, yet some conspiracy theories seem to have some influence on her if set up properly (e.g. I had to talk her out of the “moon landing hoax” conspiracy theory a couple months back after she read some websites talking at length about “inconsistencies in shadows” etc.). And she is someone who would likely vote for Obama if she lived in the US and was allowed to vote there. So she would be in the birtherism target group (Obama-leaning voters who can be confused by properly presented propaganda). Of course one could argue there is a huge difference between “I would vote for Obama, but all this Kenyan birth talk makes me have second thoughts” (i.e. thinks that birtherism might be true) and “I would vote for Obama if only he hadn’t been born in Kenya” (i.e. thinks that birtherism definitely is true). That however would presume that birtherism is presented in some pseudo-scientific fake-honest fake-critical kind of way. So far, any birther website I know would likely scare her away as being “total wingnuttery” – because the other mythical thing that doesn’t exist is a birther website that isn’t loaded with lots of conspiracy stuff and clearly deluded and racist commentors. From the relatively limited amount of data I have been able to garner, the question posed has almost invariably been along the lines …”DO you believe the President was born abroad/in Kenya” etc. The two question are very different and I believe grossly overstate the actual numbers and influence of the Birferstani. Maybe 100% true, or mostly true. Birther FR001, however, originally voted for Bush in 2000, and then ended up treating him just as contemptuously as he now does Obama (because Bush is just part of the same NWO conspiracy). Yes, FR001 is also a Truther. FR001 also does not like Romney, thinking of Romney as a NWO back-up for Obama. Only Ron Paul is free of the conspiracy. So says FR001. Free Range: Only Ron Paul is free of the conspiracy. So says FR001. FR001 is easily fooled. The fact that Ron Paul appears free of the conspiracy is, of course, proof positive that he is part of the conspiracy. In fact, it is likely that Ron Paul is the Leader of the conspiracy. After all, what better cover is there for the Leader of the conspiracy than pretending to be against it? In fact, all living persons are part of the conspiracy, since anyone who truly opposed the conspiracy would have been eliminated. That was my initial reaction to birtherism when i first fell down this rabbit hole in May 2011. It remains unchanged. My first anti-birther rant laid out the four possible positions, pro-/anti-birther, pro-/anti-Obama, and noted the absence, in a nation of 300 million, of the “double positive”, the pro-Obama birther. Someone that passionately supports his policies and approves of his performance, but was crushed to learn the (ahem) truth of birtherism and reluctantly withdrew their support for the man himself …. while still supporting his position and policies. If birtherism was a solid, well-built, airtight case, it would have the power of conversion. The deep irony here, is that birthers simply explain this away by projecting their own runaway bias to explain away this absence. Deep down, anti-birthers/Obama-supporters all know birtherism is true …. they’re just hopelessly in the tank and completely dishonest, that’s all! JPotter’s Law: Self-reinforcing memes are crap. You can develop that further by getting into the work of von Wolff, the mentor of HeWhoCannotBeNamedWithoutGivingUpTheGame. Wolff was applying mathematics and logic to international relations. His conclusions presaged Nash’s cooperative economics … sovereign nations should work together and cooperate, competition was destructive, resulted in short-term gain for the few to the detriment of the whole. Cooperation would allow all to benefit and ultimately reach greater heights collectively. Aggressive individual entities or alliances help themselves at the expense of others. In other words …. he was a pacifist, a supranational socialist, and a globalist! Of course, this could be read cynically, as a hint that the monarchies of the time should work together, stabilizing each other, and guaranteeing each other’s power, and the existing social order. Either way, not positions many birthers would own up to! bovril: From the relatively limited amount of dat I have been able to garner, the question posed has almost invariably been along the lines …”DO you believe the President was born abroad/in Kenya” etc. 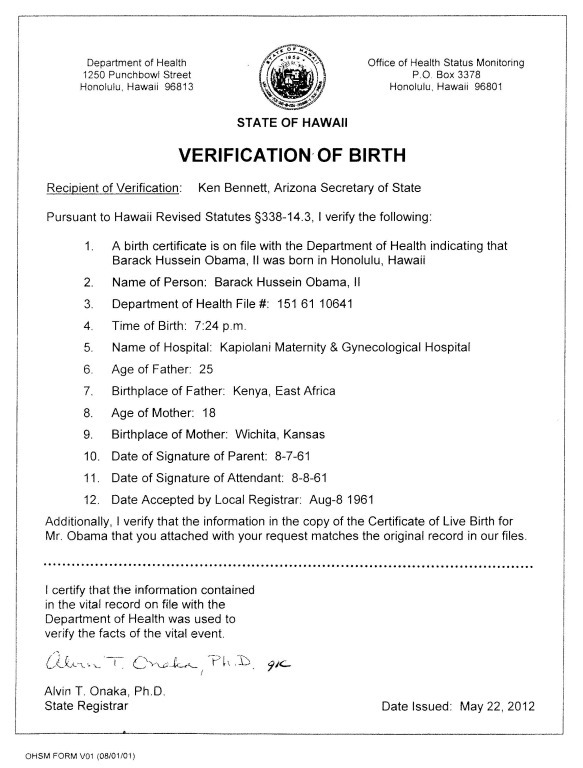 I thought the questions in the “birther polls” were more along the lines of “Do you know where Obama was born?” or “Do you have doubts where Obama was born?”. And as I’ve said before, since I don’t know where my chancellor was born (all I know is “East Germany”, but I never even bothered to check Wikipedia), I would also fall within the group that birthers would call “one of them”. And just how many Americans would have failed the $100 dollar question “Where was the President born?” under the last 5 Presidents? In fact, a sane poll would’ve had a follow-up question like “Will this affect the way you vote next time?”. Because you simply cannot reconcile “50% have doubts where the President was born” with “60% will vote for Obama next elections”. Because if those 50% really were birthers (i.e. believe he was born abroad and is not eligible), none of them would vote for Obama. Birther polls don’t do that as it would expose their sloppy methods (and the propaganda value they are actually made for). I did a poll at the office and most failed to identify where George W. Bush was born. The Magic M: And just how many Americans would have failed the $100 dollar question “Where was the President born?” under the last 5 Presidents? JPotter: Someone that passionately supports his policies and approves of his performance, but was crushed to learn the (ahem) truth of birtherism and reluctantly withdrew their support for the man himself …. while still supporting his position and policies. But, I would argue, such a person might well vote for Obama/Biden on the theory that Obama would be impeached/forced to resign and Biden would continue his wise policies, while Romney (and his ineligible VP, Rubio) would not. And if they were PUMAs, they could be heartened by the fact that Hillary would be a very strong contender to be Biden’s VP. -Believe that anyone born to a US citiizen anywhere is eligible, regardless of legal technicalities (some commenters on birther threads on TalkingPointsMemo express this POV). I actually think this is a reasonable position, especially where the parent was on a temporary absence from the US, rather than living abroad. It’s hard to imagine the Founders would have found someone who eneterd the US as a newborn to be a foreigner. I would guess that most of those who believed either or both of these would be Obama supporters, but I suppose one could believe that Obama was born in Kenya, is eligible, but is a bum. For that matter, one could believe Romnney was born in Canada, is eligible, but is a bum. Further, de birfers themselves are not bound by their own legalism. These memes are born of convenience, to be dropped and forgotten the moment they no longer serve. How stupid would an Obama supporter be if they bought into this stuff, only to be left in the dust when the wingers flip on these issues yet again? This isn’t about patriotism or justice or the intent of the Founders or any of the other false pretenses de birfers have worn out. It’s about smearing one man, distorting one Presidency. Birtherism coalesced and began to evolve in late 2008 for one reason: Obama was elected. If there was some other cause, a generalized point of law as opposed to a specific event, we would have heard these particular memes at some other time…rather than a specific time. And considering the age of the constitution, probably long ago. And the bits and pieces that have come up before …. would not have been roundly rejected again and again. My favorite prediction that has come to pass ….. is that many deluded simpletons have swallowed this stuff hook, line, and sinker. In opposing one man, the proto-birthers risked creating a free-ranging virus of a belief, risked and lost. They’ve radicalized a piece of their base, a piece that now attacks any moderate candidate based on lies they peddled. And perhaps that’s what they wanted, in a bid to force the right, farther right. “If we divide ourselves, we will conquer”? Tangled webs they are a’weaving. Doc, I believe I was the culprit and I want to apologize. I will admit to having a serious addiction to the schadenfreude I experience when reading birther angst. I won’t let it happen again. JPotter: Further, de birfers themselves are not bound by their own legalism. These memes are born of convenience, to be dropped and forgotten the moment they no longer serve. I am looking forward to the spectacle that will happen if Romney picks Rubio. Given that he is a Hispanic from the swing state with the most electoral votes and is an experienced pol who is a good bet not to pull a Palin and say something embarrassing every 15 minutes, he has to be a strong candidate. -Cuba used to belong to the US. Remember Teddy Roosevelt! -2 citizen parents? We meant any non-odd #. 2 or 0 is fine, only 1 is bad. It will be most entertaining. Here is the link to the copy and paster Elizabeth’ s source. Careful, it is the Dr. Taitz site. Congrats Dr Taitz, I pray that the Indiana court upholds the law and supports the Constitution of the United States of America? This will be an interesting case to watch and see if the Obama administration will once again evade the law(s)and fail to appear. Since common sense prevails, and there is no doubt in my mind that the Hawaii officials have no choice but to refuse presenting any documents. Why? 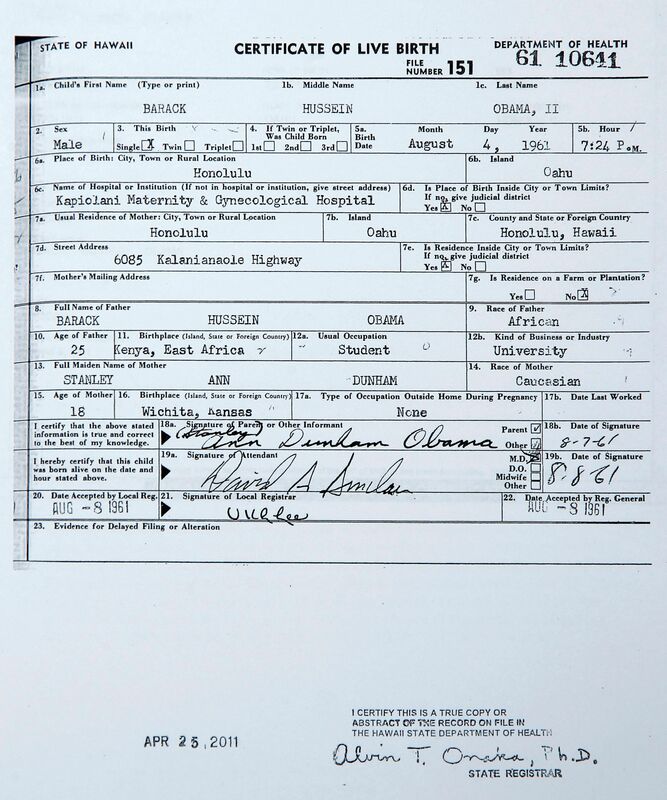 Because of the forged computer generated long form birth certificate, a real birth certificate that should be in the microfiche file more than likely does not exist. With this known, the only ones going to prison is those officials, not Obama. I don’t believe that they would arrest a president even an illegal one. However I would not mind being wrong on that. Henceforth,as an analyst for over 25 years with the federal government it was my job to determine what was real and what was fake, Barry Soetoro(name used until 1988) aka Obama is a fraud. His use of a Pakistan passport in 1981 with the protection of Muhammadian Mian Soomro during his visit, validates and confirmed my belief and opinion of his Indonesian citizenship, the main reason he cannot release his Occidental College records which would list him as a foreign student. His roommate at Columbia University was a Pakistani Muslim by the name of Sohale Siddiqi,and they are housed in the dorms for foreign students. Not to many people know that with Obama’s poor grades he is still admitted into Harvard in 1988 with a letter from Attorney Percy Sutton,a civil rights activist and attorney for Malcolm X. It was Khalid Abdullah Traiq al-Mansour, a radical Muslim and vitriolic anti-Semite, mentor of Black Panther Party founders Huey Newton and Bobby Seale, close associate of Nation of Islam leader Louis Farrakhan, and acquaintance of Obama, who alleges in his 1995 book, “The Lost Books of Africa Rediscovered,” that the United States is plotting genocide against black Americans. Alinsky-inspired agitator,William Ayers, convinces al-Mansour to raise funds for Obama’s Harvard tuition. In spite of his claims of financing it himself there was no record or financial disclosures showing this. In 2004 he listed zero liabilities on his disclosure forms which would have subject him to impeachment from the Senate, since his wife stated in April of 2008,”just paid off his loan debt”. There are many more things that could be looked at on this person with multiple names and many social security numbers. So Dr. Taitz you are on the right track, hopefully you will win a favorable decision this time, if not, then it will be a lot easier to prosecute him as a private citizen then. As a private citizen this will no doubt give him a longer prison time along with those associates who help him hide this fraud. Best Wishes!! Please note: I am not doing spell check. This primary is, as is. If I am in error, I whole heartedly apologize. So “Elizabeth” is actually Vic? I just noticed that she/he claimed that Obama used a Pakistan passport while he was an Indonesian citizen. Pretty good trick, that. In my opinion, your list means nothing without knowing who appointed the judges and what they claim their political affiliation to be. I don’t really think this is a left and right issue; however. Interesting thought. See if you all ‘group thinkers’ can huddle together and decide what the collective answer on that one is. Sally Hill, as usual you’re comparing mountains to molehills. Any questioning of whether Romney or Goldwater was eligible was lowkey and did not involve more than 100 court challenges, or a nutball leader like Orly making a career of fanning the flames. Probably a million more times the time and energy was spent on the challenge to Obama than on questioning of the NBC of either of these ’60s Republican figures. BTW, Goldwater and G. Romney were BOTH eligible. Nothing prevents you from looking it up. Sally Hill: In my opinion, your list means nothing without knowing who appointed the judges and what they claim their political affiliation to be. I see often that “the Democrats raised….” Your wording is better, but the point is that the National Democratic Party in those cases did not raise any issue, no more than the Republican Party is raising issues about Obama. Individuals raised issues and I don’t know how many of them were Democrats and how many were Republicans. It would be wrong to simply assume a political affiliation based on the objection. A Republican opponent of Romney or Goldwater could have just as easily raised the issue as a Democrat, just as Hillary Clinton supporters were early birthers. The current legal consensus is that George Romney was eligible, although there are legitimate doubts. Goldwater had the precedent of Vice President Charles Curtis (born in Kansas territory). Wow….so when 11 judges, most of them in different states, all reach the same conclusion….you need ot know who appointed them and what they claim as their political afficilation before you can decide whether they might be onto something? Do you live your life this way with every issue- look at every court case and need to know the judges political background before you accept what he or she decided is correct? Judges on federal courts claim political affiliation? I don’t recall this being part of any SCOTUS nomination hearings. And yes, you can quite easily look up who appointed who. It’s almost always the first line of every judge’s profile, no matter where listed. If you need help finding, just ask. County judgeships are typically elected positions, and candidates are aligned with party. These aren’t lower court rulings. These judges weren’t elected. JPotter: Judges on federal courts claim political affiliation? I don’t recall this being part of any SCOTUS nomination hearings. Are you really saying that politics played no role in Bush v Gore or Citizens United or a passel of other decisions by this Supreme Court? Of course as regards birthers, judges of all stripes are unanimous in laughing at them. Scientist: Are you really saying that politics played no role in Bush v Gore or Citizens United or a passel of other decisions by this Supreme Court? No, I wish I could, but no. I was responding to Sally, who wanted to know what political affiliation the judges Doc listed claimed. I was noting that party affiliation is not, to my knowledge, a question put to judicial nominees / appointees. I haven’t heard a judge proclaim, I’m a member of the [party]. But of course judges tend to liberal or conservative views, and are selected for appointment by pols with similar leanings. In a perfect world judges would be apolitical. instead, everyone plays footsie. That Sally implies it is above board is ludicrous. If judges were required to announce their politics, then our judicial branch would be run over with partisanship, decisions open to appeal based on party politics, and a mess would result. As imperfect as it is, I think the status quo is the best we can manage. It’s easy enough to find out if you’re willing to do a little research, but I’ll help you out. Judge Royce Lamberth, Orly’s nemesis in the Washington D.C. District Court, was appointed to the Federal Court by Ronald Reagan. Judge Clay Land, the judge in Georgia who sanctioned Orly, was appointed to the Federal Court by George W. Bush.